Immerse yourself in a unique universe! 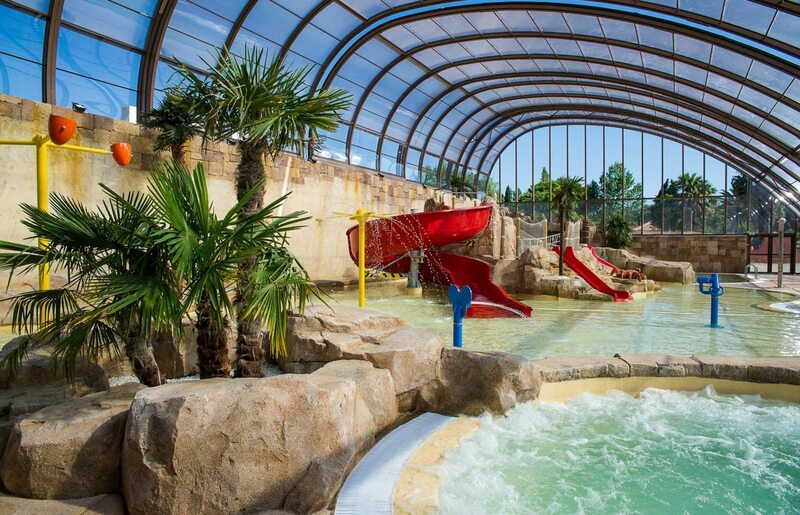 An enormous water park of over 10 000 m² (including 2000 m² of pools). 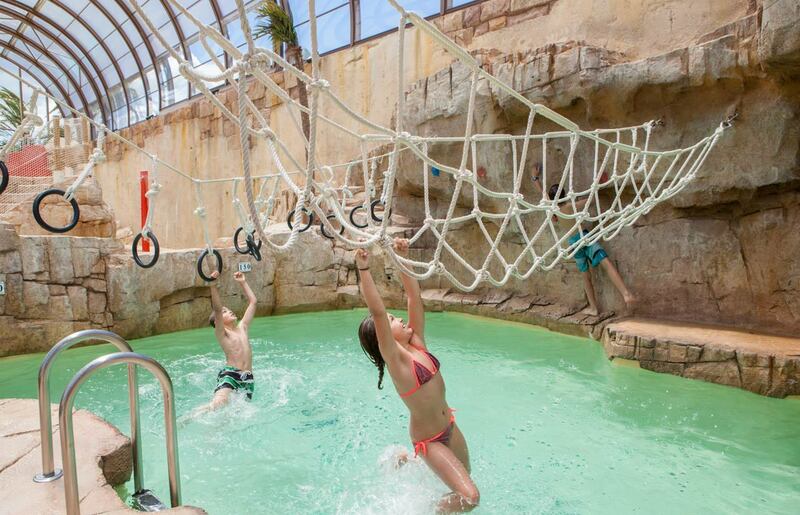 A paradisiac lagoon in a tropical décor where you can stroll between the rocks and over footbridges and around the pools. A vast grassy sunbathing area decorated with beautiful palm trees. Make the most of it to take in a few rays of sunshine comfortably installed on your towel! 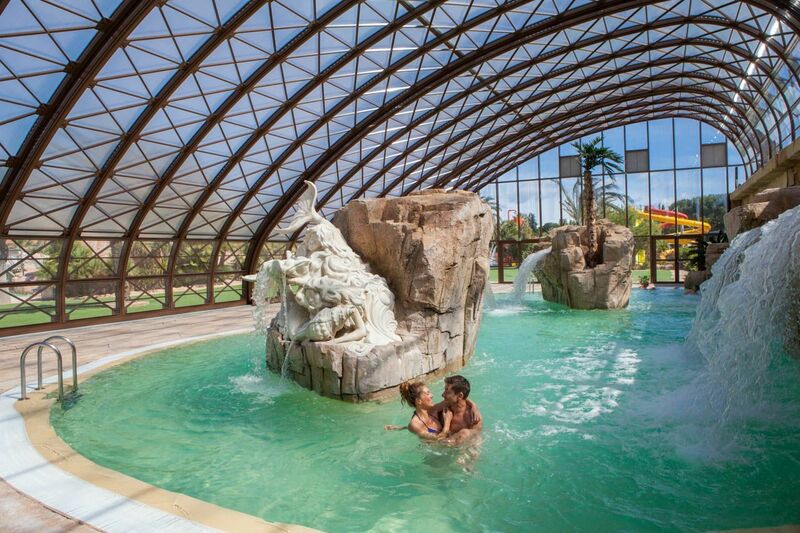 A heated indoor pool, 620 m² is entirely dedicated to little ones. 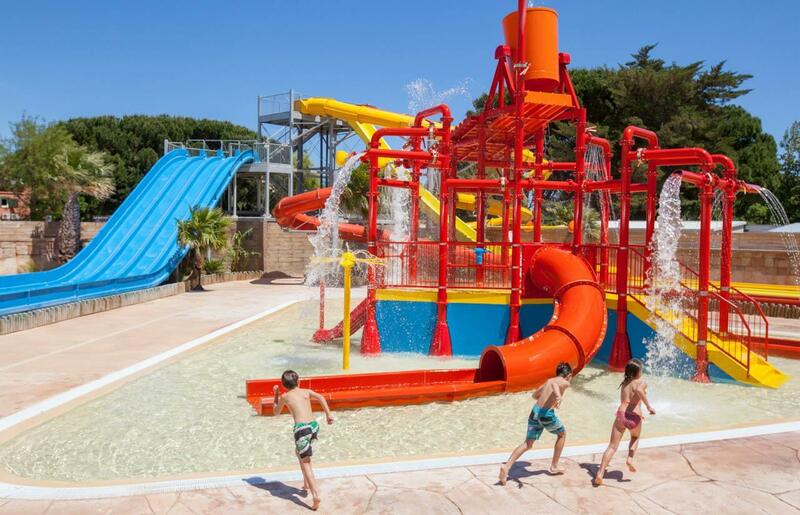 A paddling pool with water games and mini-water slides will be the favourite playground of the youngest kids, while the older children will attack the climbing wall or the rope bridge. 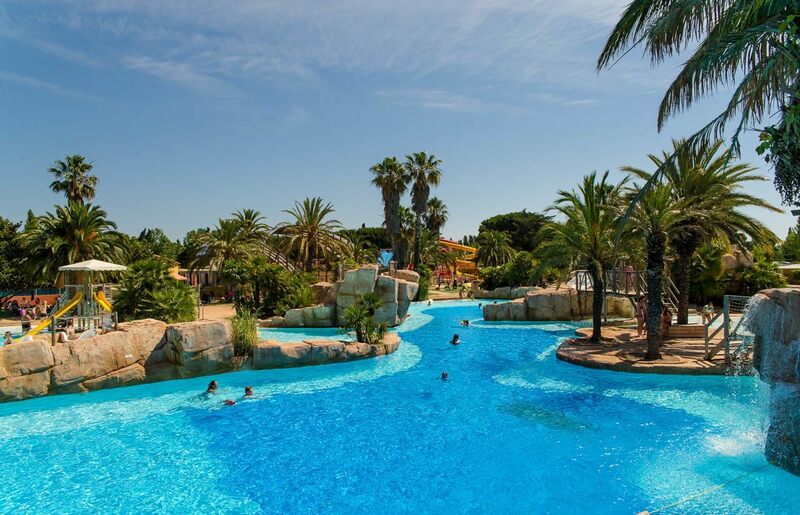 Outside there are gently sloping lagoons, a huge water tree and many water slides. 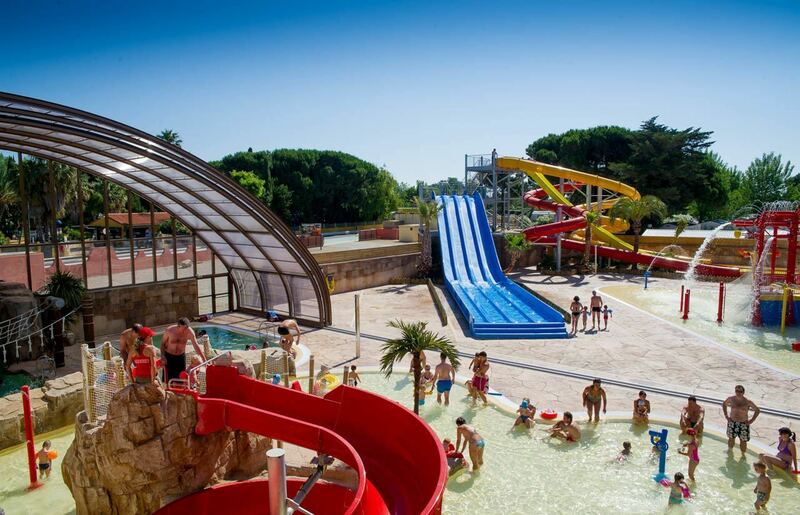 The camping La Sirène Giant waterslides will leaves no one indifferent! 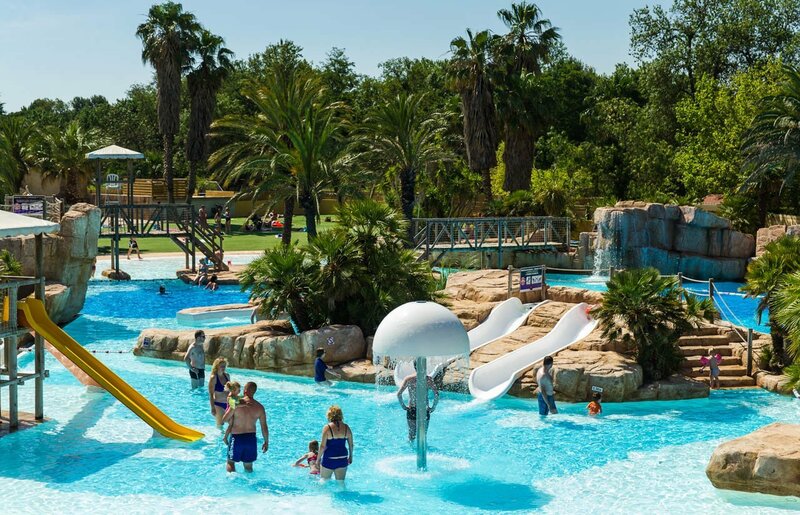 With its three large water slides and its multi-track toboggan, it is the ideal place to enjoy a few strong thrills, provided that you are older than 10 years and measure more than 1.20 meter. 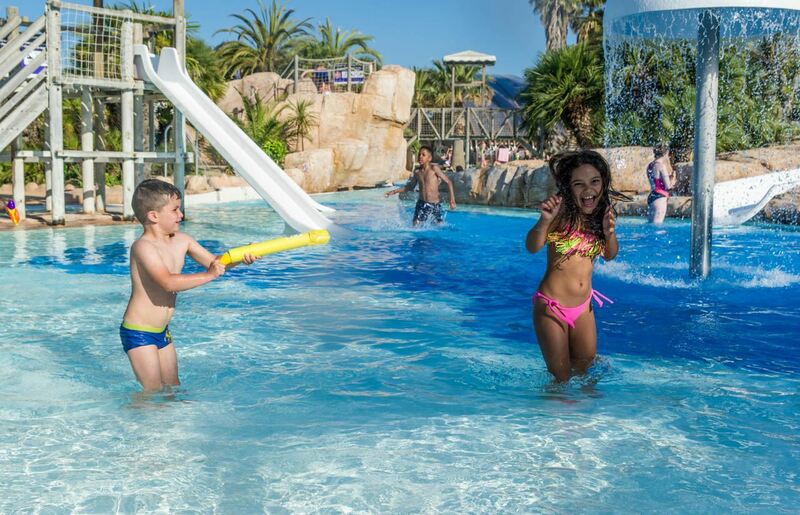 Many other smaller water slides are available for little ones. You need a break? 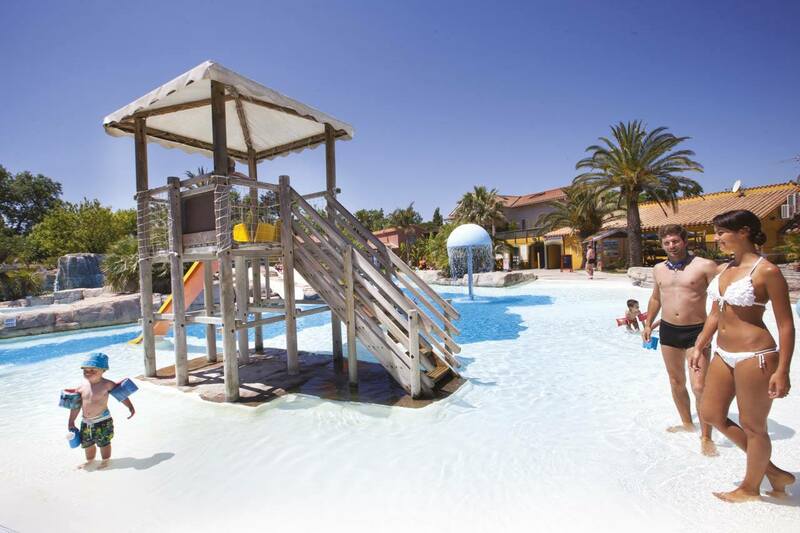 The Water Park of campsite La Sirène proposes a covered and heated swimming pool for the well being of adults. 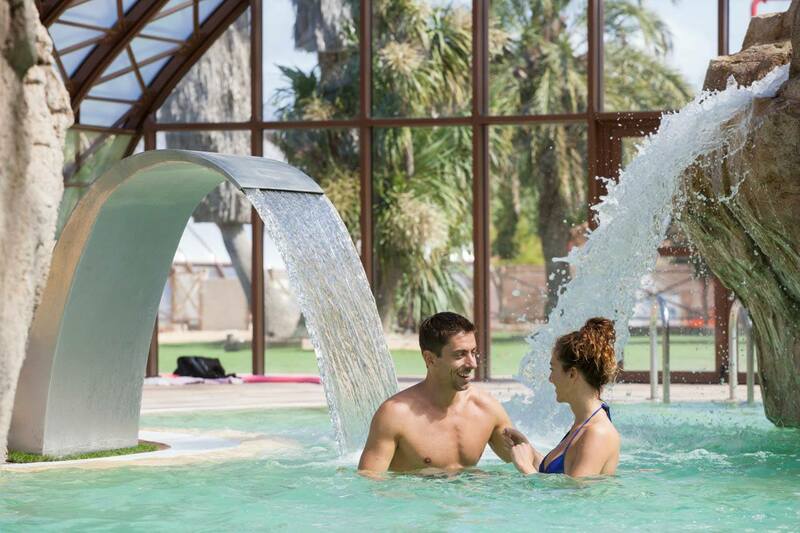 Lie on one of hydro-massage beds, sit under one of the powerful waterfalls, swim in the quiet and relaxing water, surrender yourself to the pleasures of idleness in the whirlpool or even treat yourself to a massage session (paid activity) by the pool! Finally, even if a holiday is made to rest, it is also the opportunity to discover new activities: aguagym lessons to wake up revitalised, aquabike sessions, zumba, diving for beginners*, etc.